Did you know that monsters are real?! This book is filled with fun facts about dragons, vampires, the Yeti, and more! Did you know that the Yeti roams around Mount Everest, the tallest peak on the entire planet? How about that the Loch Ness monster is said to be a living dinosaur or even a sea serpent that swam into the lake before it became landlocked? Or that the word “dragon” comes from the ancient Greek word “draconta,” meaning “to watch”? That’s why we often read about dragons guarding treasure! 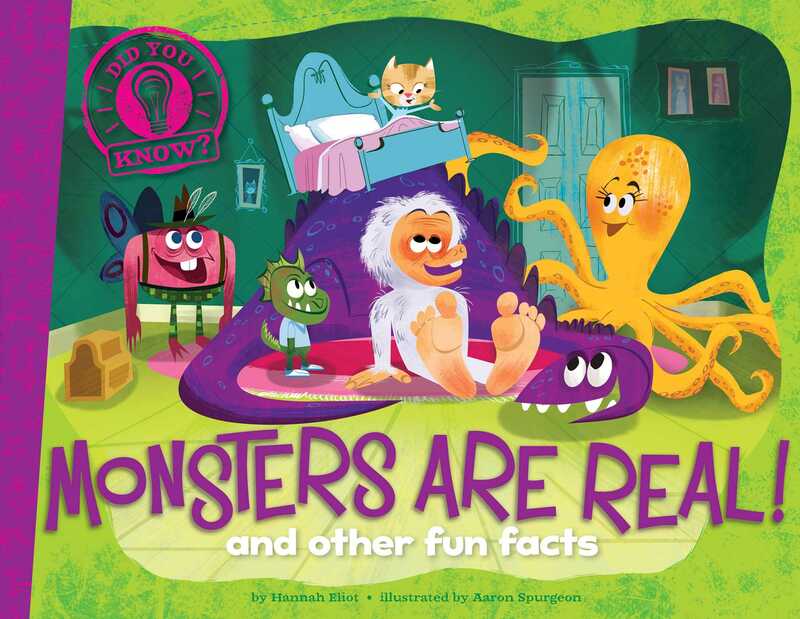 Filled with tons of cool facts about the scariest monsters and other crazy creatures, plus colorful, humorous illustrations, this latest book in the Did You Know? series is sure to be a hit! Book Cover Image (jpg): Monsters Are Real!